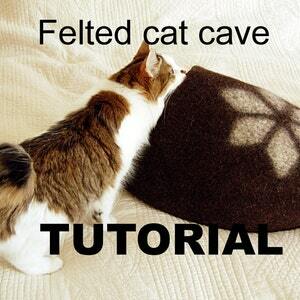 I made this cute and comfortable bed for your cat from 100% wool. 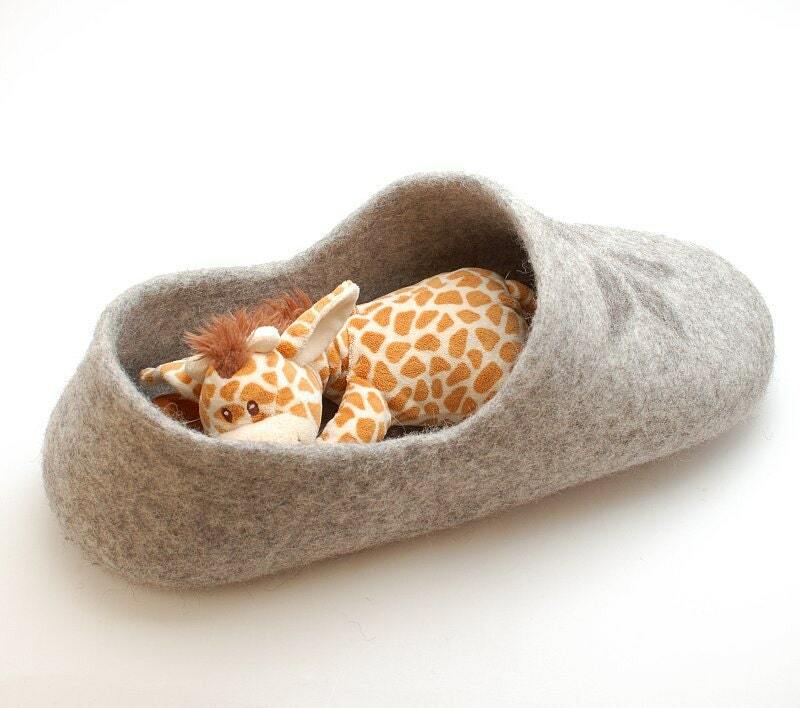 It is shaped as clog and looks nice in interior. 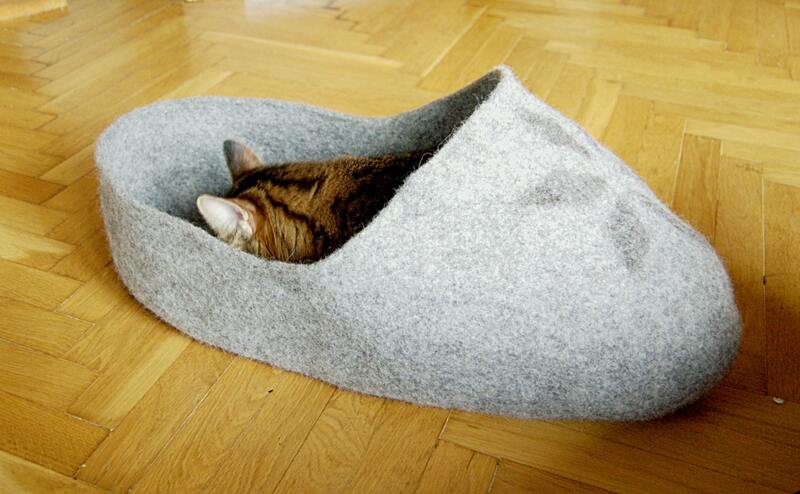 This cat cave is made to order. 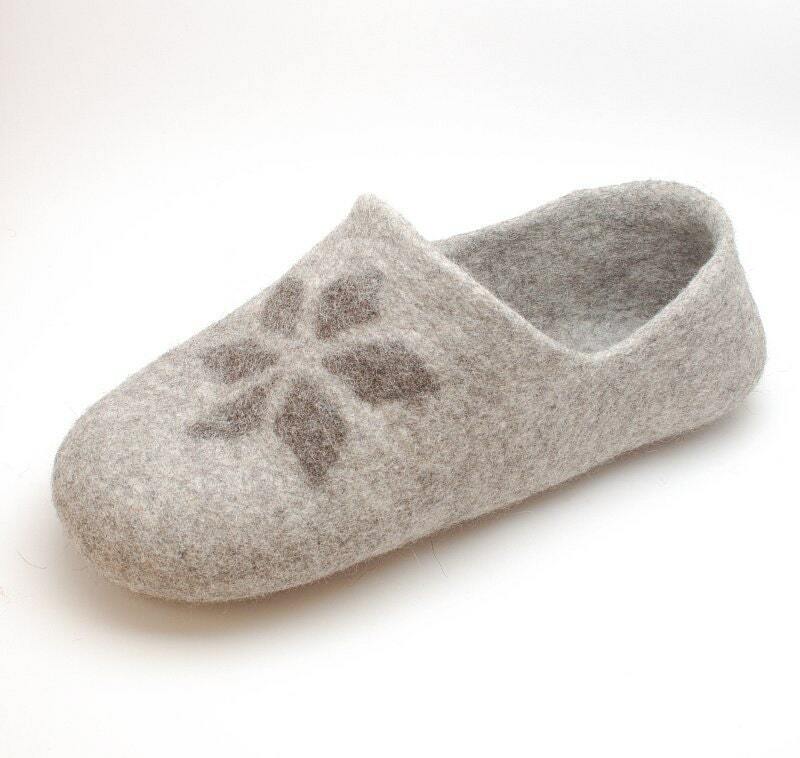 I can make any other design or color which corresponds to designs of my Woolen clogs. 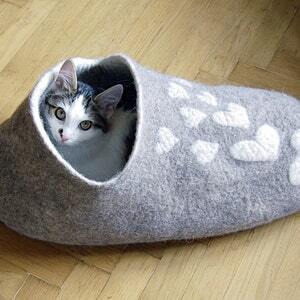 Size S is 38 cm long for small kitties up to 9 pounds (up to 4 kg). 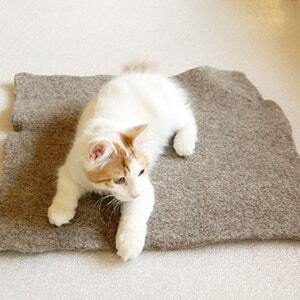 Size M is 43 cm long for mid size cats of 9-11 pounds ( 4-5 kg). 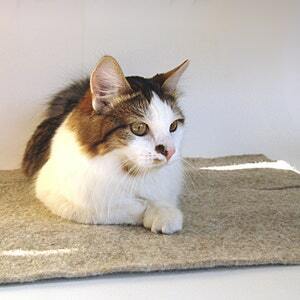 Size L is 48 cm long for cats of 12-15 pounds (6-7 kg). 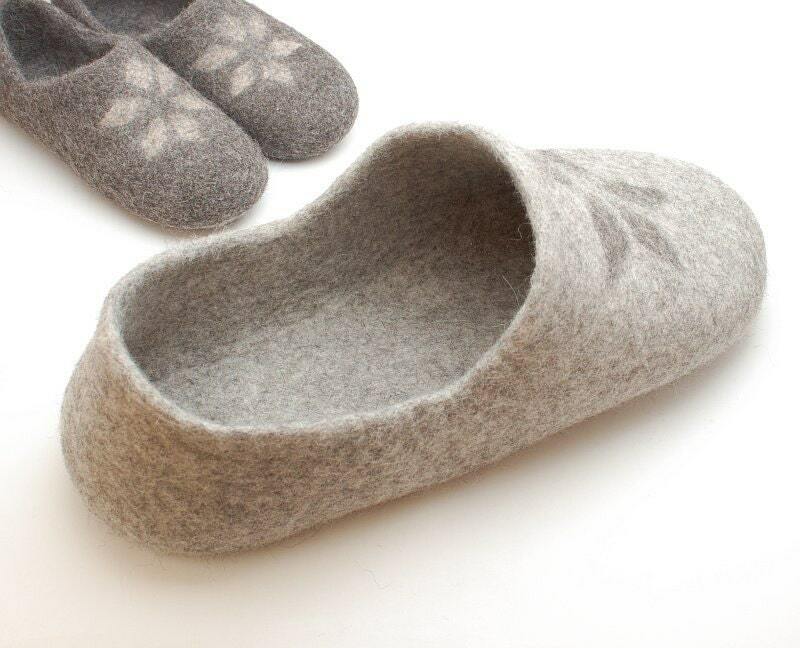 The Cat clog can be washed with detergents for wool in warm water. 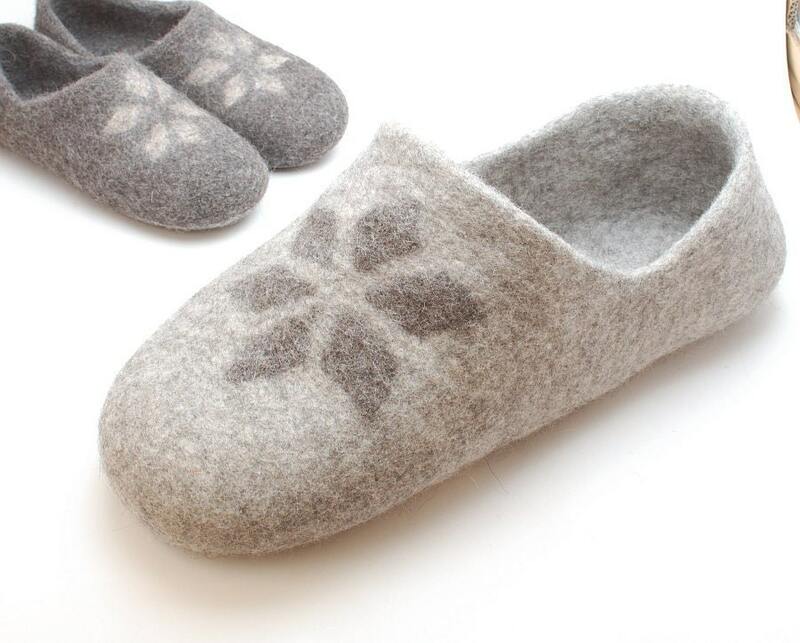 Form by hand into a desired shape and leave to dry.